Find the best TV Slots games inspired by our favorite characters their stories! Films-inspired Slots included. Whether it’s TV shows, pop quizzes, blockbuster movies, or goofy cartoons, TV always keeps us entertained. And some TV personas and fictional worlds have become so popular that they earned themselves a place on the reels of a video Slot game. 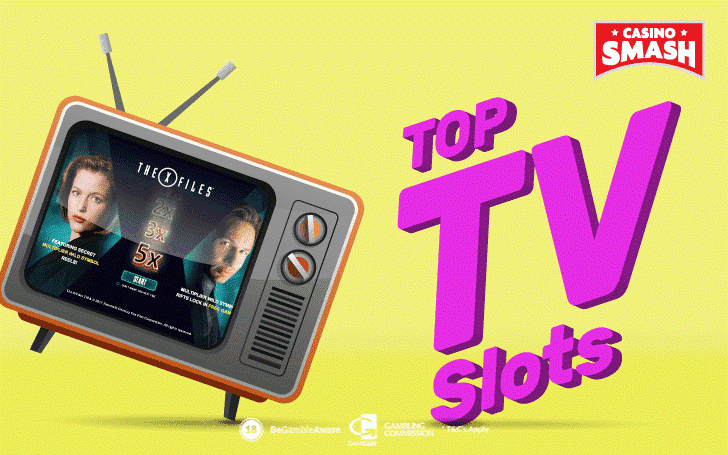 You can find out which of your favorite characters made the cut by checking out our list of top 10 TV-themed Slots of all time. And you can . Let’s start with the best game shows and series-inspired Slots. And let's go beyond the games that are promoted all over the Internet. We're looking at you, Game of Thrones Slot. You can expect only the Slots with best bonus games, quality graphics and soundtrack, as well as the games payout most. In other words, only the most worthy of your time and money. Get ready for a new and exciting season of the most popular TV show in the UK, Britain's Got Talent. This time the action takes place on the reels of a video Slot game produced by Ash Gaming. The game includes the same acts, judges, and high standards we all know and love. Choose your act from the three featured categories, Music, Dance or Novelty, and spin the wheel to see who will represent you in the competition. Progress to the second part of the Live Show bonus and pass all auditions to reach Britain's Got Talent finals. Trigger the Free Spins bonus to win up to 20 free spins, where each wild that lands on reels will remain in place for the entire feature. How many animated sitcoms that you watch have a form of Slot game? If American Dad is one of them, you’re very much in luck. This TV-themed Slot game was developed by Playtech, the king developer of branded Slots. You can expect to hear the familiar intro tunes while the five reels are spinning your beloved characters symbols. Bonus features are based on the show, too. If you prefer mystery and science fiction, The X-Files TV series and Slot may be a better fit for you. Featuring the legendary FBI agents Mulder and Scully, it gathered a fanbase like no other series from the 90s. Big enough to have a revival this decade. And the revival came with a very special Slot game by Playtech based on the series. The most unique feature is a secret set of multiplier symbols that spin simultaneously behind the reels. Every time you land one, you can get a multiplier of up to five times. These symbols also work as a wild, substituting other symbols except the scatter symbol. Plus, multipliers can be combined to boost your win up to 25 times! And that’s not all. You can also get up to 20 free spins with locked multiplier wilds. When it comes to TV Slot development, 2018 was a good year for NetEnt. The year started with Hotline Slot inspired by Miami Vice series and then followed by brilliant . Speaking of Hotline, the game is radiant in many ways. It has an innovative Hotline Bonus Bet where you make an extra wager to land more Expanding Wilds and Respins on one of the three rows. Wilds can cover the whole reel, you can win both respins and bonus spins. Up to seven of them during the main game. Plus, the symbols and music will take you back to the 80s in a blink of an eye. Ride a car to the sunset and catch the jewellery thief with the legendary detectives. Did we mention the Slot version of Miami Vice has an RTP of 97.04 percent? Just putting it out there. The only TV Slots that beat the mentioned shows games are Slot games inspired by films. 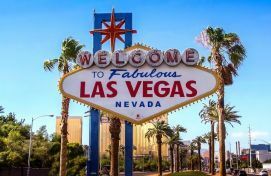 Luckily, it’s an even bigger category of games at online Casinos. Let’s start with the top six of them. For us, it may be the top Slot inspired by films, for you it may be the top film altogether. You can expect brilliant graphics with expanding symbols of Morpheus, Trinity, and Agent Smith, and bonus games even Neo would be impressed with. Deja Vu may be a glitch in Matrix but on the reels of Matrix Slot, it can duplicate cat symbols from the reel one to reel five. It’s not so bad when you think how many wins it can cause. If you know where this quote is from, Robocop is the Slot game to play. Spin the reels filled with symbols inspired by the film of the same name and enjoy some of the best Playtech’s bonus games out there! OCP Mega Bonus - pick-an-object game awarding cash prizes (yes, again) with prizes multiplied five times! Many Casino games can take you to the jungle. But only one to Jumanji jungle. Inspired by the original Jumanji film from the 90s, it presents you with a board game rather than a video game, and reels packed with many great features. All of it inspired by the film, of course. Every bonus comes with free spins. And it’s so much based on Jumanji, you will think you got sucked into the board game. And who knows, maybe you will be? Top Gun brings us back to Playtech Slots inspired by TV and films. It’s a simple Slot with five reels and three rows, but it does have 243 paylines. The symbols feature all the favorite characters from the film, including Iceman, Jester, Stinger, and Charlie. The latter will take your breath away because it’s the most paying symbol of the game. While the Slot doesn’t have complicated features, it has wilds and scatters. If you land three scatter symbols, you transfer to the Danger Zone and get free spins to pilot well and survive it. While other Slots from this game took inspiration from one TV show, series, or film, Planet of Apes stunningly merged two films at the same time. Sure, they may be from the same serious but how often do you spin 10 reels at the same time? The Slot works as two Slot games combined, Rise of Planet of the Apes on the left, and the Dawn of Planet of the Apes on the right. You get two wilds, two scatters, and different symbols for each of the sides. But when it comes to some special features, they are combined. Dual feature transfers some symbols to the corresponding place on the other side, stacked wilds appear on one side and gets duplicated to another. Rise Bonus awards you with an extra coin for every human and ape symbol on the Rise side while the Dawn bonus transforms ape and human symbols into the same symbol during the play. And with scatters, you can trigger free spins for both of the sides which actually separates the reels for the mode games. You can trigger 10 free spins on the Rise side and 15 on the Dawn. Okay, maybe there was at least one film or TV show you haven't heard of before. But we doubt you haven't heard of Rocky. The Slot may not have the "Eye of The Tiger" song played as a soundtrack but it does have the characters from different Rocky films. That, of course, includes Rocky, Adrian, Paulie, and Rocky's infamous opponent Apollo Creed, Clubber Lang, and Drago from the Soviet Union. Rocky logo works as a scatter symbol and after landing five of them, you trigger 25 free spins. If you land four, it's still not bad - you get 20 free spins. And with three scatters, you get 15. There is also a Knockout Bonus included. If you land Bonus symbol on the first and fifth reels, you get to choose one of Rocky's opponents and they will fight in a 10-round match. What's in it for you? You'll get a cash prize for every round Rocky wins. And you know that he wins with a knockout in the end anyway. If that's sooner than 10th round, you get a cash prize for all remaining rounds.